Administrators may transfer assessments for any user, not just the submissions that were submitted to themselves. Administrators may transfer singular assessments, or in bulk. 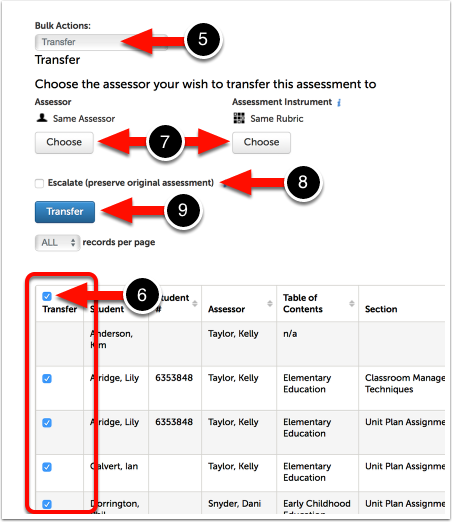 NOTE: This help page shows the transfer process occurring on the Student Results screen in Chalk & Wire, but assessments may be transferred from whichever screen the Administrator used to locate them. 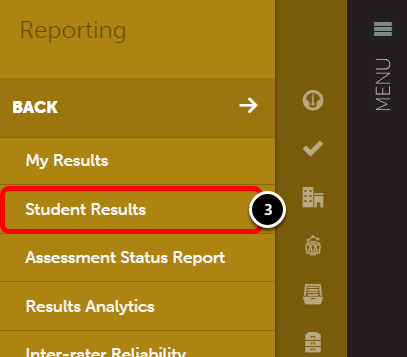 For more information on locating student results, please review the options in the View and Manage Student Results help pages. 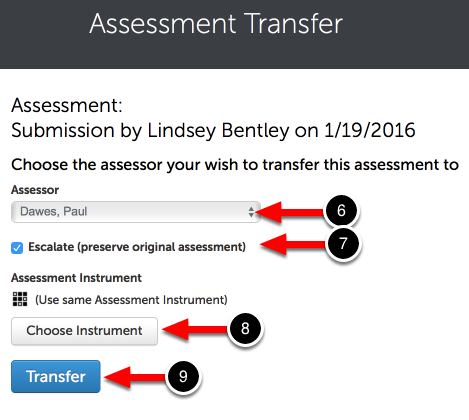 Administrators may transfer one assessment at a time, or bulk-transfer assessments. If you choose to bulk-transfer, all of the assessments that you select must have the same transfer options (assessor, instrument and escalation rules). 4. Locate the Assessment that you would like the transfer. 5. Click anywhere on the Assessment to reveal its options. Select Transfer. 6. Select the Assessor for the new assessment. If the same Assessor will be assessing the work, leave the default "Same Assessor" selected. 7. Select whether or not you would like the Escalate the score. If selected, the original score will be preserved and a second assessment will be created. If deselected, the original assessment will be erased and the new assessment will take its place. 8. 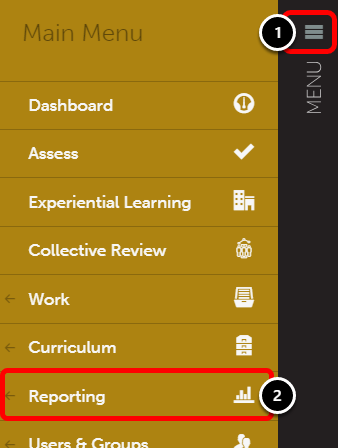 Select the Assessment Instrument for the new assessment. If the same Instrument will be used, do not make any selection. 4. Click on the Show Bulk Actions button to reveal the bulk-transfer column. 5. Use the Bulk Actions drop-down menu to select Transfer. 6. 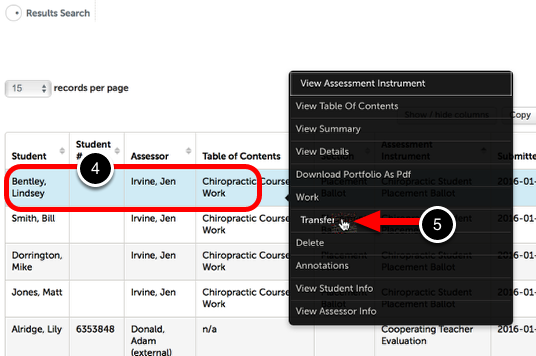 Using the Transfer column, select all assessments that you wish to transfer. If you would like to transfer all of the assessments in the list, use the checkbox in the column header to select all. 7. Select the Assessor and Assessment Instrument for the new assessment. If the same Assessor will be assessing the work, leave the default "Same Assessor" selected and if the same instrument will be used, leave the default "Same Rubric". 8. Select whether or not you would like the Escalate the score. If selected, the original score will be preserved and a second assessment will be created. If deselected, the original assessment will be erased and the new assessment will take its place.